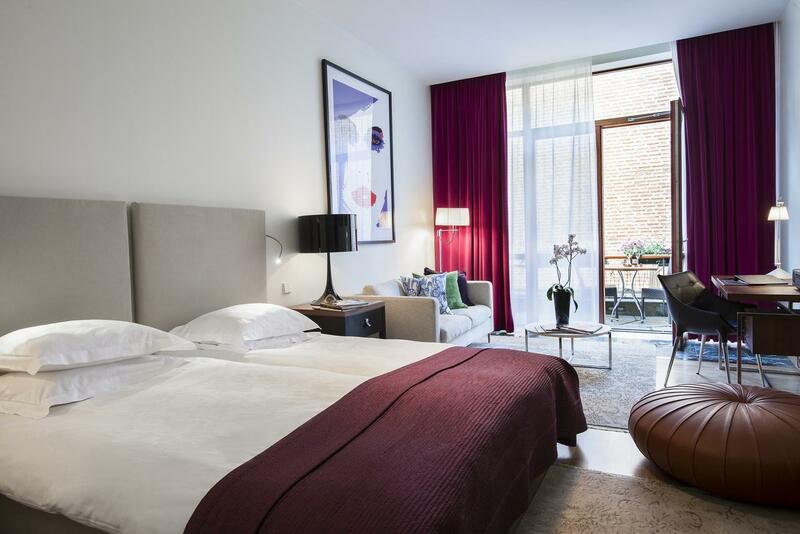 We know you want to find the most conveniently located, bang-for-your-buck, overall best hotels in Stockholm. 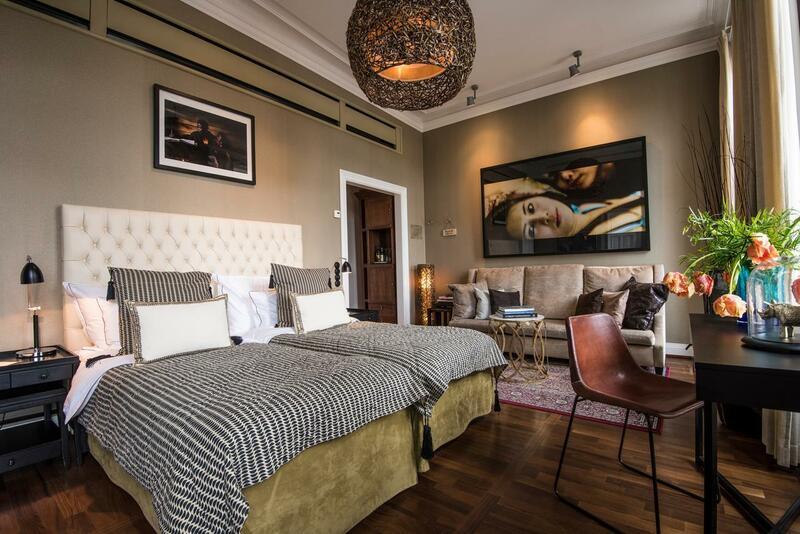 And when it comes to laying your head down for the night, this city offers much more to choose from than impersonal hotel chains, whether you’re looking for cheap hotels, boutique or a special-occasion treat. 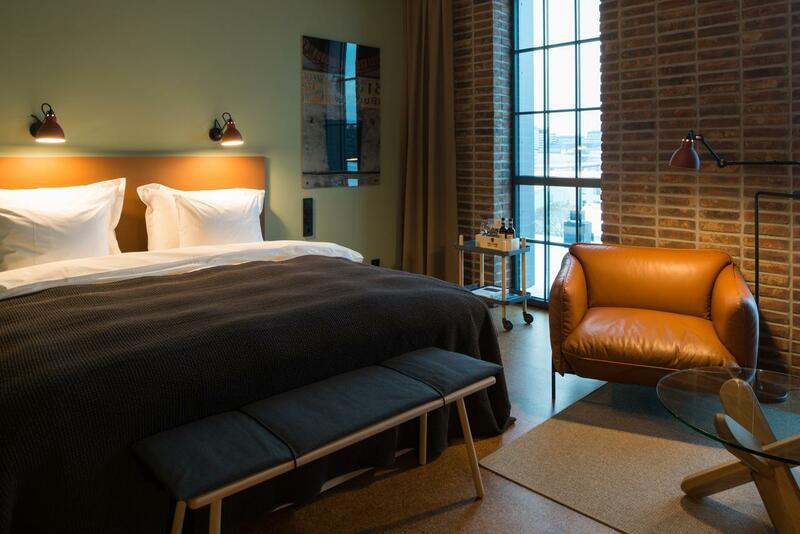 Here in Stockholm—otherwise known as the Venice of the North—hotels are yet another outlet for the city’s love affair with modern design. In fact, many of the hotels on this list are attractions in and of themselves; wether boasting incredible architecture and interiors, historical or cultural significance, or some of the city's top restaurants, bars and communal spaces in which to have a drink and socialize with locals and tourists alike. 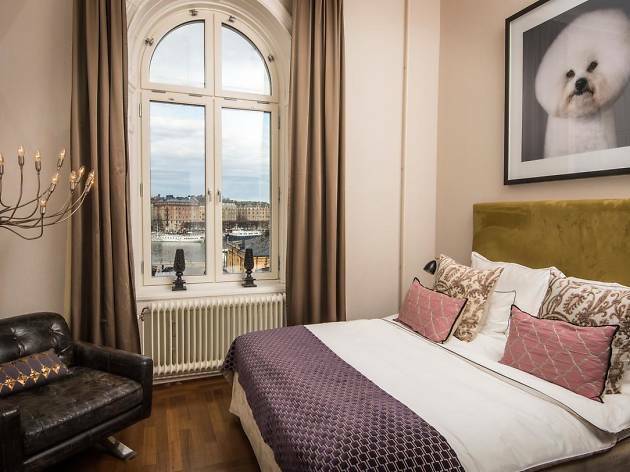 Here are some of our favorite hotels in Stockholm. 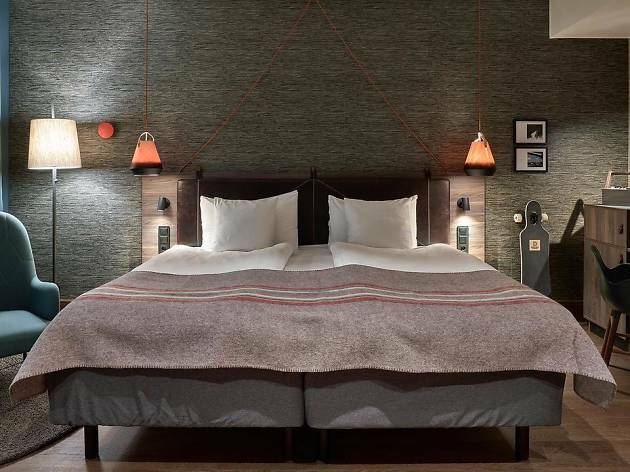 At a mere 100 yards from Stockholm Central Station, this design hotel is in a convenient spot and shows off the slick Nordic style of the region. Expect floods of light coming in from the massive windows and unique artwork in the lobby as part of their 'Artist in Residence' programme. 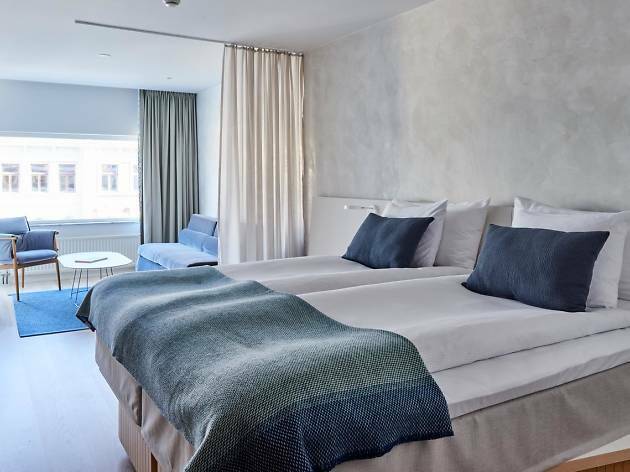 You'll also find rainfall showers in the rooms, as well as luxury beds courtesy of Swedish designer Anders Hilding, complimentary toiletries, a TV and a safe large enough for a laptop. The in-house restaurant, Lykke serves up modern Nordic cuisine and offers a 'Nordic lights organic breakfast', with everything from fresh fruit to sweet, fluffy American pancakes. 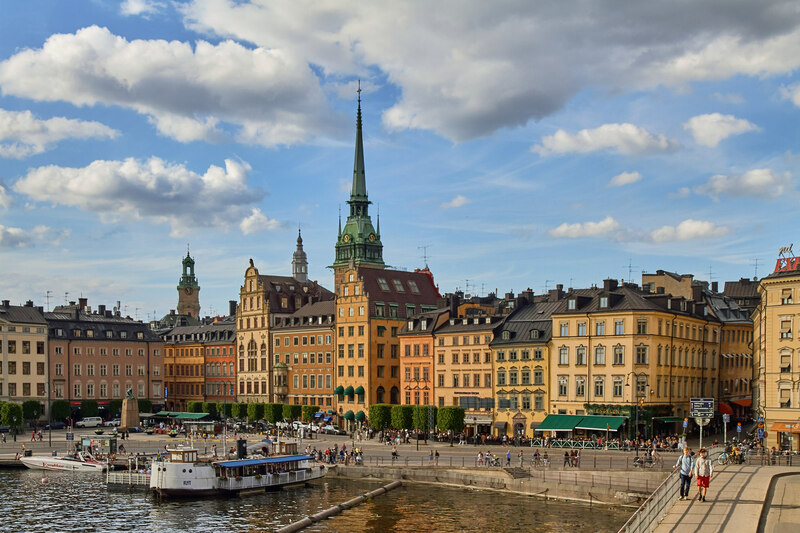 Experience a real slice of history with a stay in the Swedish National Museum's old archive building. 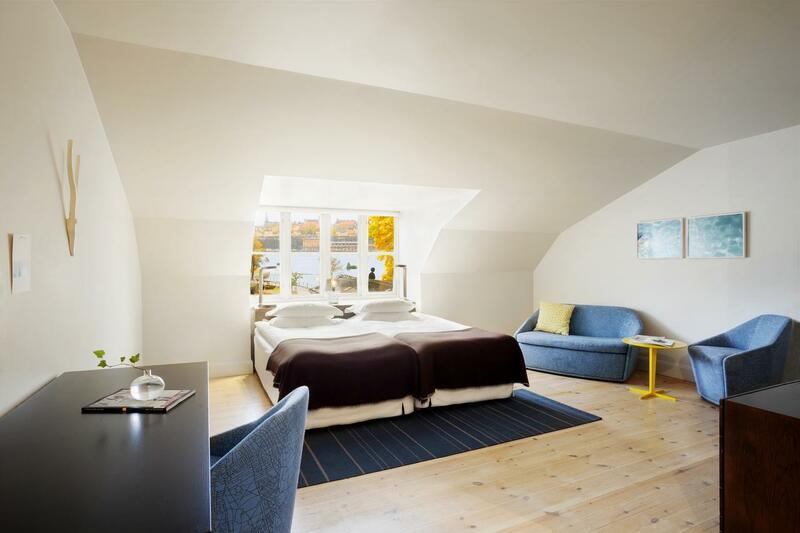 Built in 1829, this beautiful place was renovated by the Small Luxury Hotel Group in 2008. 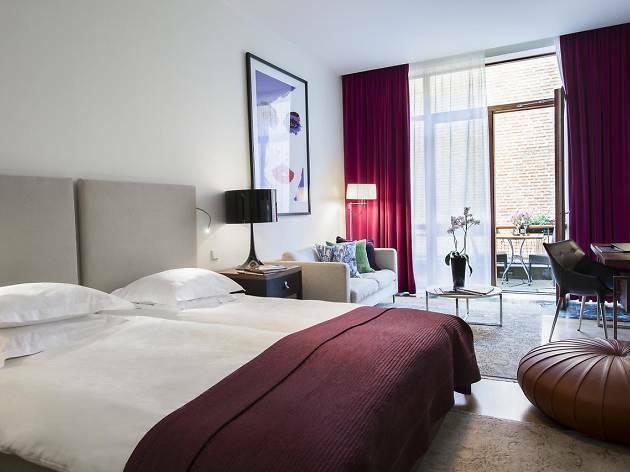 Each room is decorated differently and in a slick, contemporary design, with artwork on the walls. 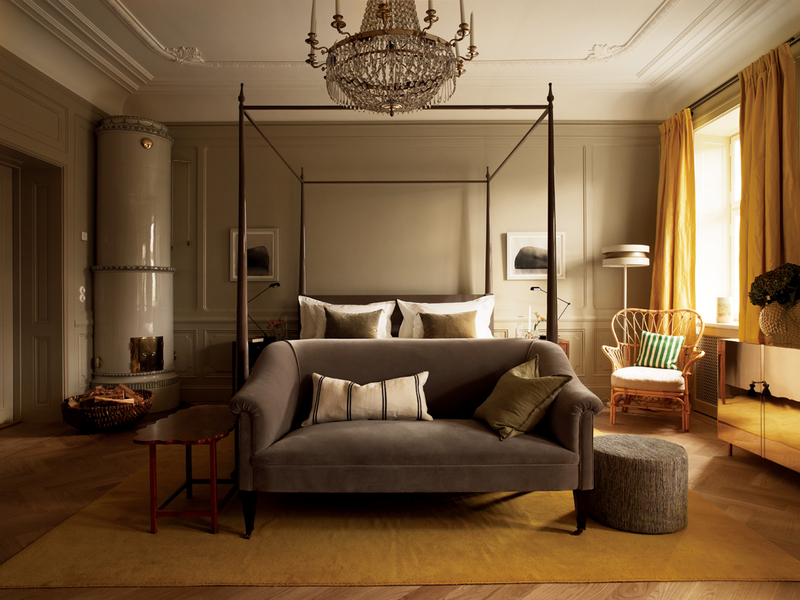 This theme runs throughout the hotel, with pieces from 1900 to the present day on rotation. In-room amenities include a mini-bar, TV and AC. Nearby you'll find the culture hub that is Stureplan Square, the beach and the newly renovated National Museum, which opens its doors once again in October 2018. 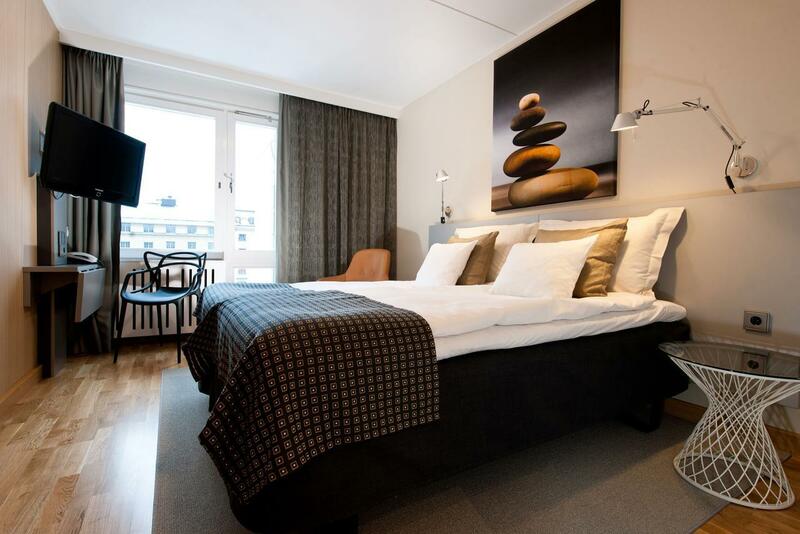 For those with active lifestyles, Scandic's Downtown Camper is the perfect spot. 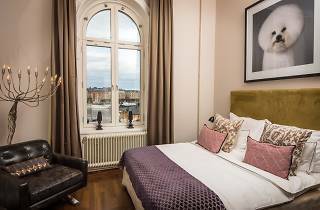 Not only is it located conveniently close to major attractions, the waterfront and Stockholm Central Station, but the hotel provides daily activities for guests, including running, walks, workshops, movie nights and DJs. There's also an in-house gym, pool, spa and yoga classes. Plus, you'll find a selection of skateboards, kayaks and bikes in the foyer that you can hire out. There are plenty of great places to eat around the hotel, but it also has a grill restaurant that serves up camping-vibed comfort food. 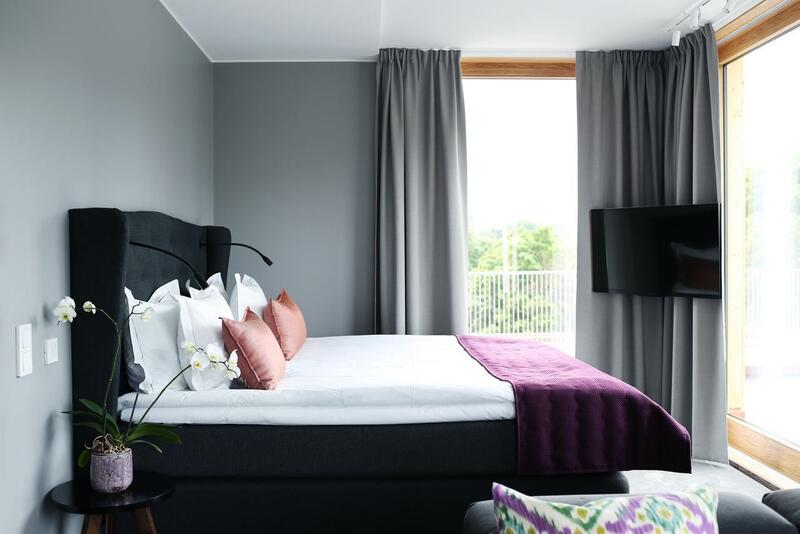 Owned by former ABBA band member Benny Andersson, Hotel Rival is filled with subtle tributes to the world-famous Swedish pop group. 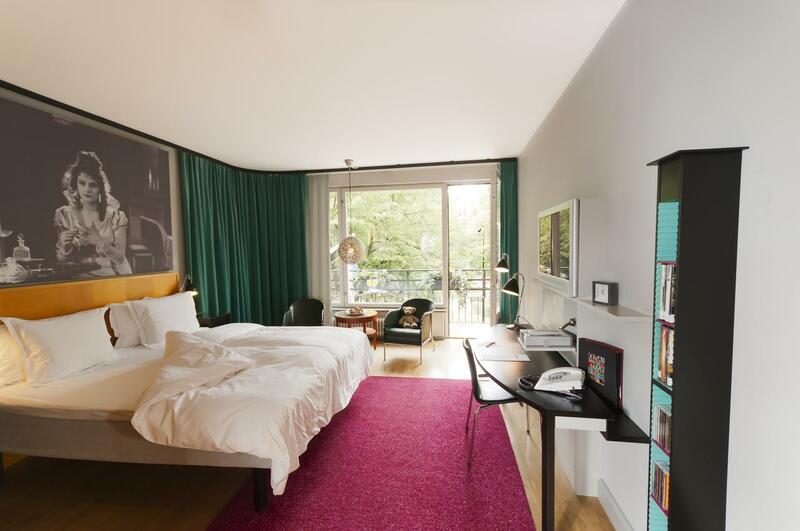 All 99 rooms are equipped with a state-of-the-art entertainment system, 32” plasma screen and access to a library of DVD movies and music by—who else?—ABBA. Plush red velvet sofas, movie and theatrical motifs and tastefully designed lighting give the property a vibe of something between cabaret fun and old school funk. Here is where Edith Piaf sang, Marlene Dietrich had her own dressing room and Axl Rose once bit a security guard on the leg (losing his Converse hightops in the process, which the hotel gave away on Instagram 10 years later). More than just a place to lay your head at night, Hotel Berns is also home to an internationally renowned concert venue, for acts which have, over the decades, ranged from the Supremes to Rihanna. Ett Hem quite fittingly means “at home” in Swedish. 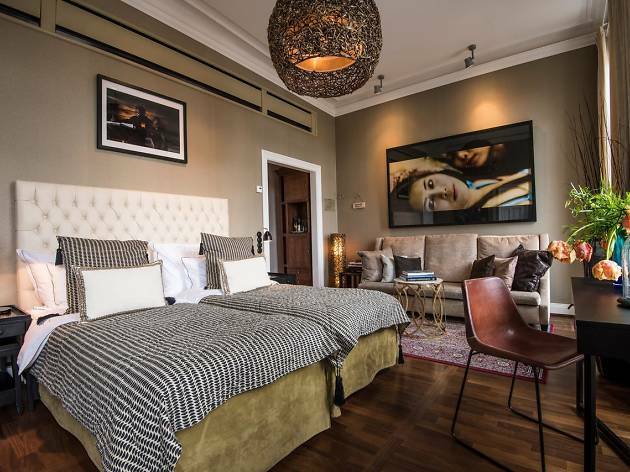 And if home is where you sneak bites of homemade apple cake from the kitchen while chatting with the chef about what you’d like for dinner or curling up with a novel and a sheepskin throw–you’ve come to the right place. A low-key, elegant vibe permeates throughout this red brick townhouse. Guests may help themselves to everything from bicycles and raincoats to a freshly squeezed juice from the fridge, play a record on the hotel’s working gramophone, tickle the ivories on the grand piano or relax in the bright, sunny conservatory. 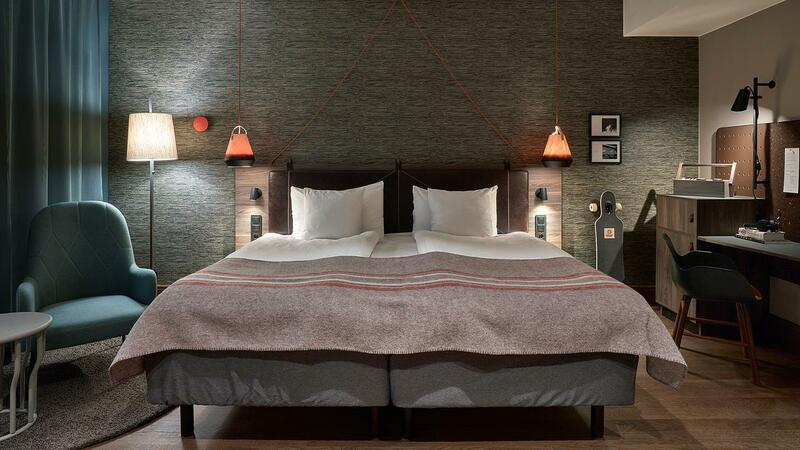 The Winery Hotel allows guests to follow the winemaking process from barrel to bottle. Enjoy a relaxed tasting at the bar or panoramic views from the rooftop terrace’s heated pool. All 184 guest rooms share an industrial factory-like feel with exposed brick walls, high ceilings and windows and brass accents. Packages include guided tours of the on-site winery, tastings and multiple-course dinners; daily activities planned by the hotel’s expert sommeliers could involve learning how to open a champagne bottle with a saber or indulging in a kundalini yoga and wine session. Before it became the only hotel on the island, Skeppsholmen enjoyed past lives as a hospital, a temporary prison and the Royal naval barracks for officers of the Swedish king. 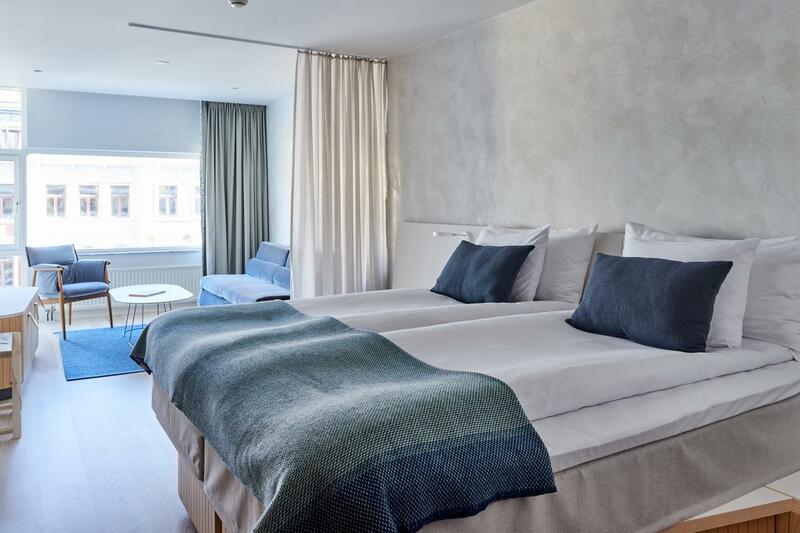 Despite their more than 300 years of history–and structural changes not being allowed during renovations–the 81 guest rooms are in excellent shape. Sleek, modern furnishings and rustic décor are juxtaposed next to tributes in the form of a plaque in every room that conveys important historical details relevant to each space. This centrally located, comfortable gem provides great value for money in one of the most expensive cities in the world. 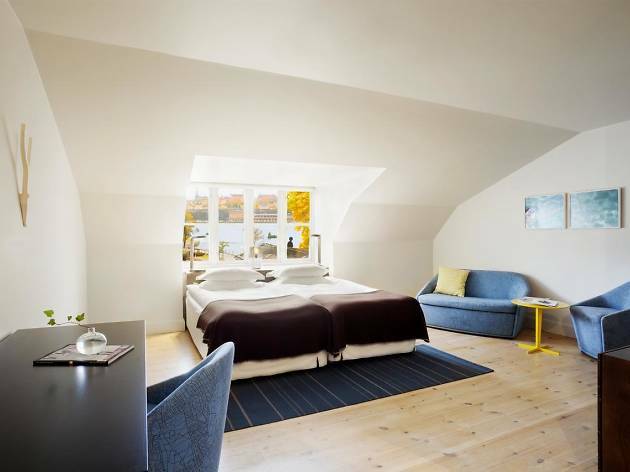 A range of accommodation options include a choice of recently refurbished suites, junior suites and studios from among 271 guest rooms. While the location ensures you’re already well-connected to shopping, restaurants and other points of interest, you won’t want to miss the AfterWork jazz evenings held every Wednesday in the lobby bar. 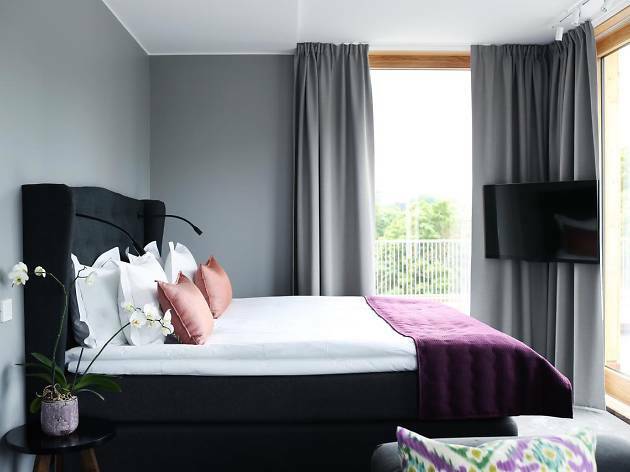 Music lovers might particularly appreciate the Pop Hotel’s shared entrance with the Abba Museum, or the fact that one of its owners is former band member Bjorn Ulvaeus. 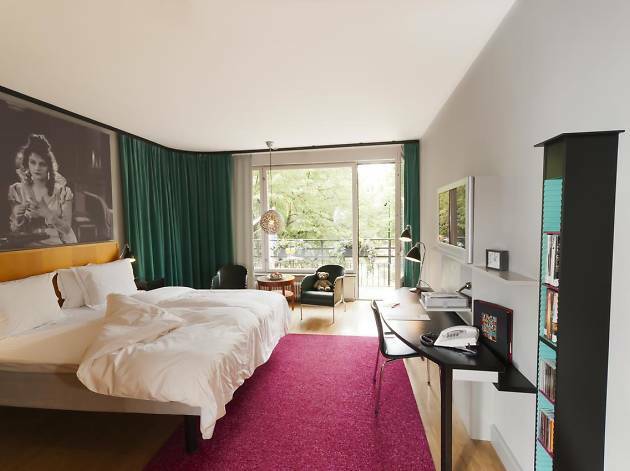 The hotel’s 49 rooms, brightly decorated with accents of purple and lime green, are filled with light thanks to panoramic sliding windows. 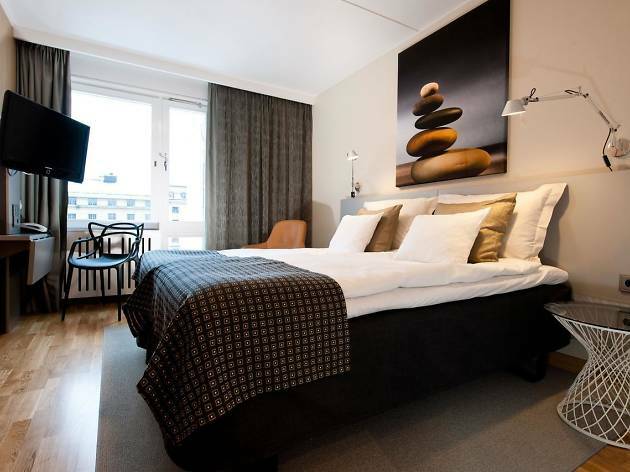 Only a five-minute tram ride from downtown, the hotel is located right by Gröna Lund amusement park, the Swedish Music Hall of Fame and Skansen, one of the world’s oldest museums. 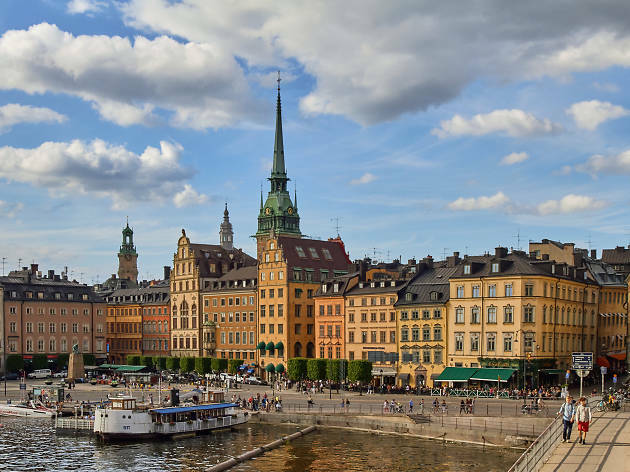 With 14 island coastlines, dozens of museums and a third of the city covered in parks and gardens, attractions are crammed in like sardines in Sweden’s camera-ready compact capital.